Runes were the main communicative system in the Viking age. This type of alphabet was the connection between the Vikings and the Norse pantheon as it was believed to foster the communication between the visible and the invisible power. 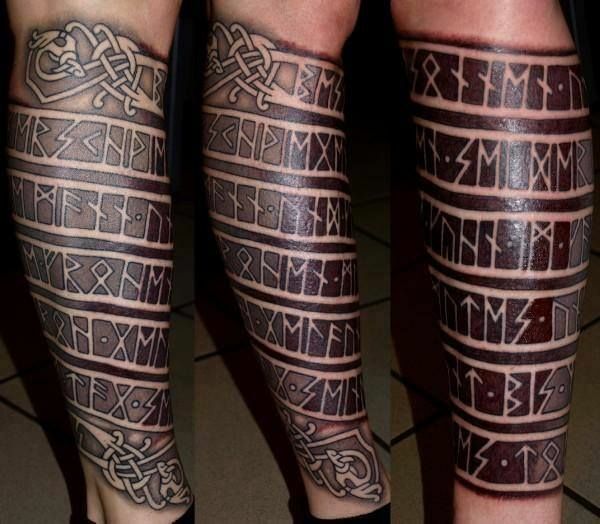 Because of the holy power, runes were highly respected and until now it has become favorite among the manliest ink fans. We are now using our national alphabet and runes the magical alphabet have been the part of a long-gone culture. We no longer use runes to communicate daily and professionally. But the influence and power of runes are undoubted. Runes are still the emblem of the holy power.